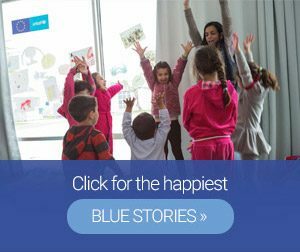 During the three years, (August 2016-February 2019), of the Child and Family Support Hubs’ operation by SolidarityNow in refugee camps of mainland Greece, more than 14,500 people, adults, and especially women and children, have been supported to regain their lives but also to be empowered for their next big step: their inclusion in our society. SolidarityNow, with the support of UNICEF, brought to completion the 2nd phase (November 2017-February 2019) of the innovative Child and Family Support Hubs program (CFSH). “The program has adapted many times to the changing needs of the refugee crisis in Greece. Hence, non-formal education was included as one of the main pillars of the program, alongside child protection and the prevention and treatment of gender violence”, underlines Christiana Kyrkou, SolidarityNow program’s Coordinator. 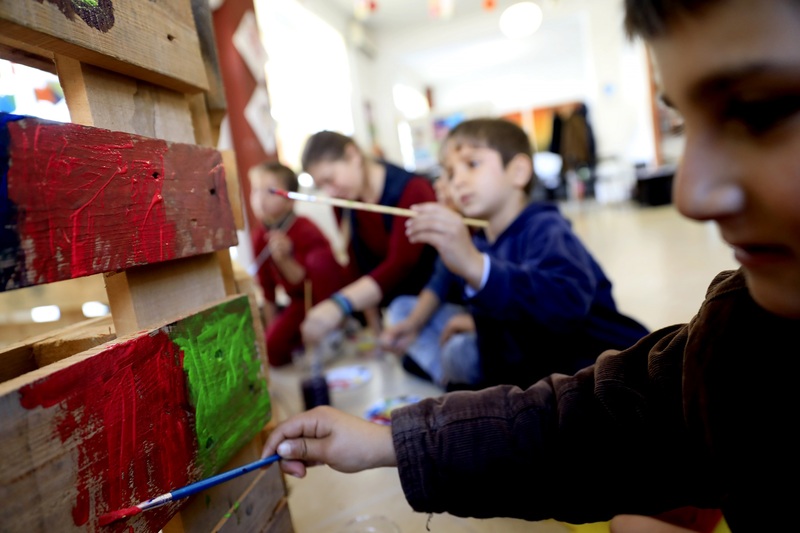 Focusing on the refugees’ social integration and on strengthening their autonomy, the Child and Family Support Hubs were operational in more than 20 different sites in Attica, Epirus, Central and Northern Greece, with their specialized field teams. 724 children under the age of 2, accompanied by their mothers, had access to the neonatal and postnatal counseling facilities-Mother Baby Corner. 904 children were referred to formal or non-formal educational services. 34 teachers were specialized in the education of refugees and migrants. “Is there a difference among children growing up in peacetime and children who have experienced displacement? Yes, there is. However, this difference can be soothed with the right support as time goes by. This way childhood is proven to be strong enough to prevail over a dreadful experience. For example, the children’s drawings show us that a more beautiful world is feasible“, says Sofia Tzelepi, one of the program’s lawyers. SolidarityNow, with support from UNICEF, IOM (International Organization for Migration) and funding by the European Union, continues the program’s implementation in 2019 by scaling up to present in 13 locations, providing holistic child protection and non-formal education services through the Hubs. “With the dynamic presence of our teams in 13 sites, we aim to support the interconnection of the local community with the local camp, strengthen the refugees’ openness and build on the local organizations’ capabilities so that they also take an active role since the great challenge now is the inclusion to local communities”, underlines Marietta Provopoulou, Deputy General Manager. *The program is implemented with the support of UNICEF – until 2018 it was funded by the European Civil Protection & Humanitarian Aid Operations (ECHO). Since March 2019, the program is funded by the European Union with the support of UNICEF and IOM.